Two of the biggest in each class. At Santa Cruz de La Palma, Canary Islands. very nice indeed, an excellent post! mrdot. Thanks for your comments and as I said before there are a couple more spotting locations up to 200 meters over the port area. May be this is like a some kind of tropical "Tore´s brigdes" up there in the far North...but here in La Palma, Canary Islands...jajaja. Superb, ventuari, superb! Great vantage point you got there to catch these two good looking modern ships. That was the idea. A couple of "Big ones" each in the proper class scale. 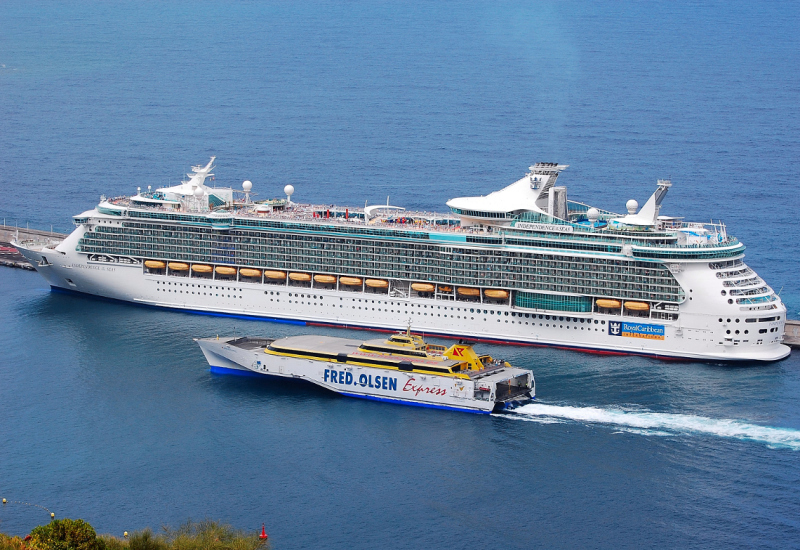 Beautiful shot of this big ships! All of your photos especially from that location are very nice and cute!